Want to implement a commute incentive program at your company? Purchase a handful of cruiser bikes for employees to ride to lunch or use for errands. Be sure to buy bike helmets as well. To learn about other ways your company can become more bike friendly—even earn a certification—visit the League of American Bicyclists: https://bikeleague.org/business. 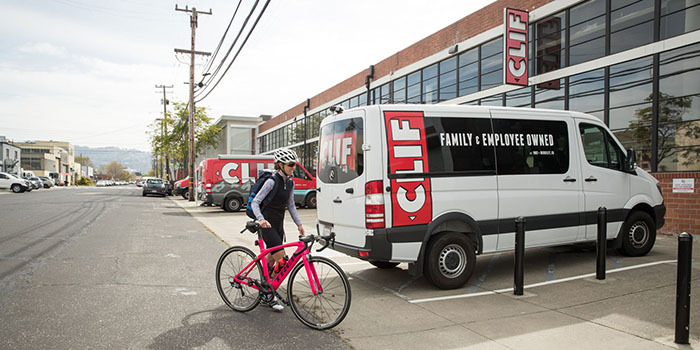 At Clif Bar, we use a point system, where employees log their daily commute online in exchange for points (carpool passenger = 1 point, carpool driver = 2 points, bike/walk = 3 points). 1 point translates to $1, which can be redeemed as cash in a paycheck or credit at the company café. But you don’t need a big budget to have a point system. Points could be redeemed for entries into a monthly prize lottery, company swag, gift cards to a local coffee shop, or a free lunch. 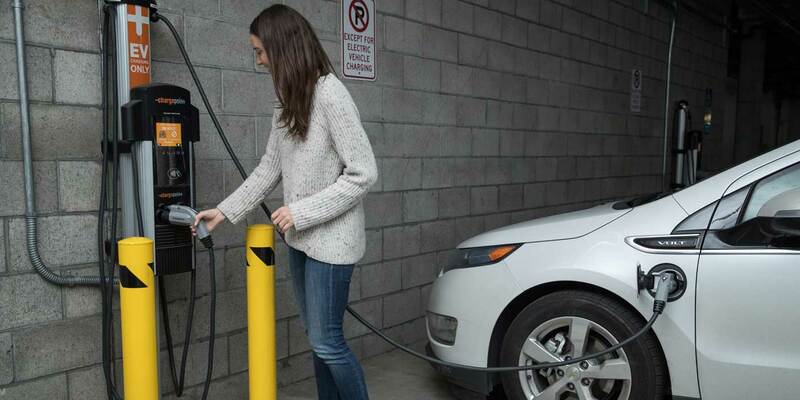 According to the U.S. Department of Energy, people are six times more likely to purchase an electric vehicle (EV) if their workplace has a charging station1. SIX TIMES! Take that step and you’ll break down a huge barrier for your employees. Follow up by asking a local EV dealer to come by and do a demo with EVs so people can test-drive them on site. Start an incentive program for bikes, public transit and EV and hybrid cars. Employee subsidies don’t have to be huge—even $500 to $1,000 toward a car can influence a purchase decision, and $100 toward a bike can go a long way! Reimbursing public transit fares (or chipping in a percentage) can also be a big help. Everyone wants to work for a company that cares about people and the planet. Taking steps, big or small, to encourage cool commuting will certainly be felt and appreciated by employees. We hope these tips help inspire you to find your own unique expression of cool commuting at your office! To get the full scoop on Clif Bar’s commute incentive program, check out how our employees are putting the brakes on climate change.